Best Air Conditioning & Heating Service Bealeton, VA | Robert B. Payne, Inc. When you’re in dire need of an air conditioning and heating company worth their salt, it’s important to search your local area. There are plenty of options. However, none can compare to the level of commitment or quality offered by Robert B. Payne, Inc. 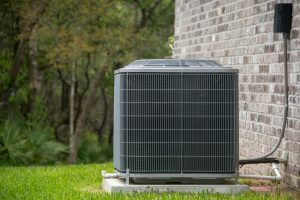 Since day one, our air conditioning and heating services in Bealeton, VA, have helped homeowners and local businesses. We stand by our work! 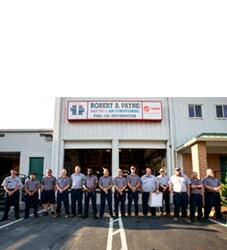 What sets Robert B. Payne, Inc. apart from the competition is our team. We have built a group of dedicated professionals from the ground up. With years of in-depth experience and a commitment to customer satisfaction, our services have earned a reputation. A reputation we proudly wear on our sleeves! 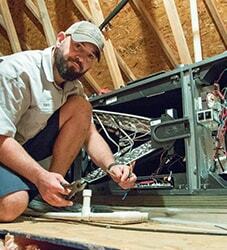 Ask anyone and they will tell you that professional installation is the only way to go for an HVAC system. By hiring an expert, you are taking proactive steps to reduce problems, extend lifespan, and increase energy efficiency. Amateur installations often lead to costly repairs. Let’s avoid that altogether! An HVAC system must be properly maintained to ensure the utmost efficiency and peak performance. We recommend scheduling annual or bi-annual maintenance for your system. During our visit, we’ll examine each part, coil, and clean the whole system for the best results. When something goes wrong, and you’re left in extreme discomfort from the weather, give us a call. We have repair technicians on-call, awaiting a chance to show off their skills and get the job done right the first time. Our repairs are tried and tested, ensuring you won’t need to call back! 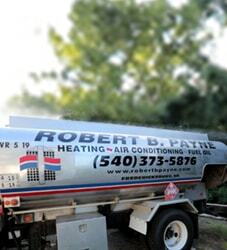 Schedule quality HVAC service in Bealeton, VA, with Robert B. Payne, Inc. Call (540) 373-5876! We serve entire Bealeton, VA 22712.